People are stupid. They won’t accept evolution. Some still think plants and animals were designed and that God was somehow involved. But no worries – we’ve identified the problem. It turns out that evolutionists are using the wrong kinds of terms to describe how natural selection and mutation works. And these terms inadvertently imply design. Not only is this confusing to simple-minded lay folk like you and me, but apparently “it even leads scientists themselves astray sometimes…” Well, that needs to be changed! Editor of the journal Bioessays, Andrew Moore, offers a solution. Evolutionists must change the language they use to talk about evolution. The old way of speaking about evolution inadvertently implies design and intent. And, well, you can’t have that. The new way of speaking eliminates anthropomorphic terms. But there’s a reason why scientists often use terms like “design.” It’s because it seems obvious that certain features in biology are designed. But many evolutionists have a philosophical commitment to naturalism that forces the counterintuitive conclusion that nothing is designed. 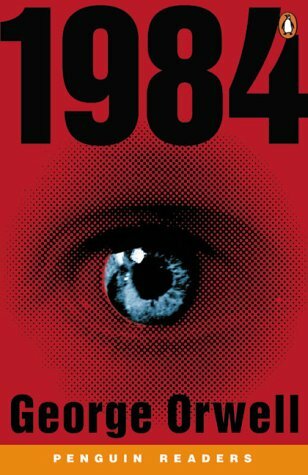 Akin to George Orwell’s novel Nineteen Eighty-Four (Moore, by the way, uses Orwellian terms in his article), the new approach uses terms that obscure the obvious implications of design. It removes Oldspeak words like “design,” “purpose,” and “adapt” in favor of Newspeak that eliminates any hint that intelligence or a mind is behind the development of biological systems. And obvious words like “design” aren’t the only words to get axed. Even the innocuous word, “to” is apparently a serious threat. Moore writes that the word, “to” is “short for ‘in order to’, or ‘with purpose of’. Purpose can only be exercised by a supernatural entity…” Such concern over a tiny word like, “to” would make even Bill Clinton envious (“It depends upon what the meaning of the word, ‘is’ is.”). First, the evolutionary establishment makes it a thoughtcrime to question their paradigm (and expels dissidents). Now Big Brother wants to stop evolutionists from using words that might imply design. I guess when only 14% of American adults think evolution is “definitely true,” you have to resort to something. Thank God Orwell for this idea. 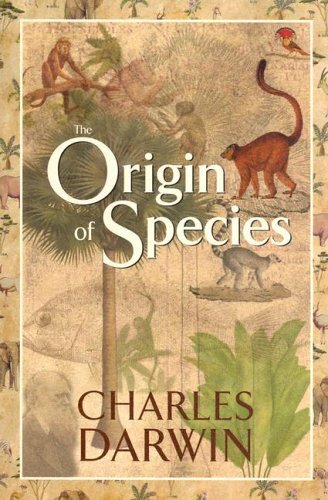 Maybe the two books evolved from a common ancestor. The point of the post is not about the merits of evolution or ID. It’s simply to highlight an article about suggesting to change the language evolutionists use. But since you asked, no, I don’t believe in naturalistic evolution because I don’t see sufficient evidence for it to warrant belief. Maybe we should ban all metaphors. If scientists can get confused, anyone can! Ahh..atheists are just a bunch of liars and fools. When one theory of evolution can be refuted, they try other forms of explanations. Challenge: What if Someone Doesn’t Want to Listen?